I absolutely adore cheesecake. However I have only made a baked cheesecake a couple of times. I usually go for the easier no bake ones. So when I saw that cheesecakes were one of the challenges for the bakers I knew that I had to make one. Cheesecake is definitely one of my most favourite desserts. At the moment I have a real passion for coconut ingredients. I regularly use coconut oil, coconut milk and coconut flour. So when I was thinking of what my favourite summer flavours were what came to mind? Yes, you guessed it, coconut! 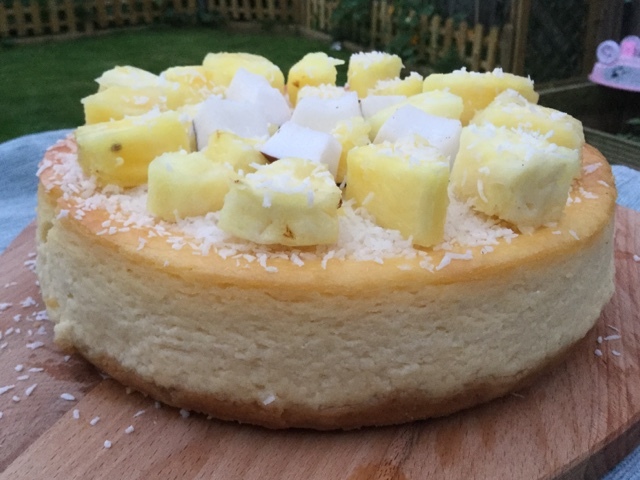 But I did not want to make just a coconut cheesecake I wanted to add more flavours. This led me to one of my favour cocktails, Pina Colada. 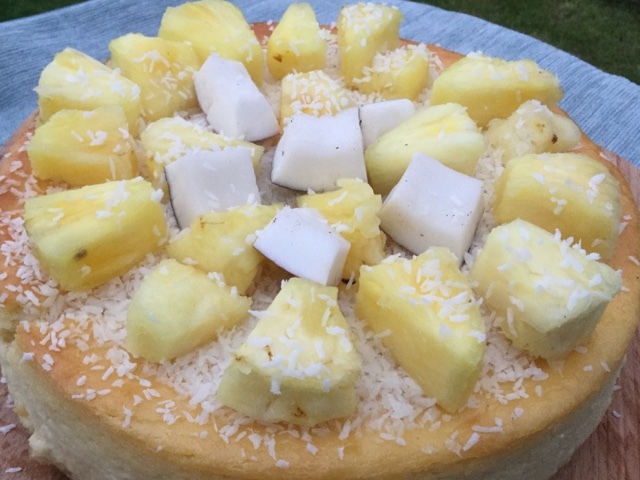 Pineapple and coconut are such a classic combination, I knew they would be perfect for this weeks challenge. I have got the basic weights from BBC Good Food and have adapted the recipe. This cheesecake is full of the flavours of summer and really is worth the extra effort. Waiting for it to cool really is the hard part! As always I am joining in with the Great Bloggers Bake Off. Week 4 it is hosted by Utterly Scrummy Food For Families and week 5 will be here on Hijacked By Twins for free from week which I cannot wait for! Mmm, lovely,flavours in your cheesecake, I bet it was amazing! What a gorgeous flavour combination, I love pineapple! I bet this was a really summery, refreshing dessert! Mmm, looks and sounds scrummy, I could really enjoy a slice now! The nice biscuits must have made a great base...I've not one of those biscuits for many many years. Oh wow, your cheesecake looks scrumptious, and I love the fresh fruit at the top! Pina Colada is one of my favourite cocktails. I am pretty sure I could eat half of your cheesecake :) You made me laugh with "nice biscuits" in your recipe, he he! 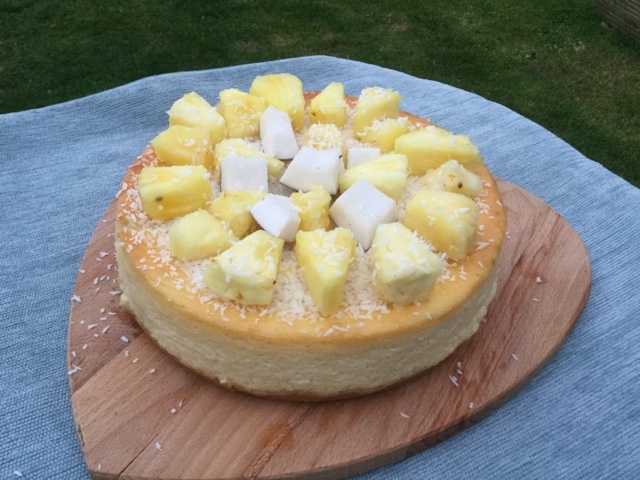 What a great looking cheesecake - will have to give this one a go!